Cairo, Egypt – October 20th, 2011 – Ideavelopers, managers of the Technology Development Fund (“TDF”), led a Series A round with an investment of $1 million in Social Games developer, Nezal. In this investment round Nezal also raised additional funds from Tamkeen Capital. Based in Alexandria, Nezal delivers rich web and mobile localized games to users within the MENA region. Founder and CEO, Mohammad Ali is a passionate gamer with over 15 years of experience in working and managing technology startups. 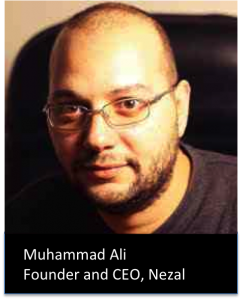 Additionally, Nezal’s team includes Hany El Masry, previously Imagineer at Dinsey, DreamWorks and Pixar, and Muhammed Sanad, previously level designer at garena.com, one of the most successful game networks in Asia. Nezal is well positioned to scale by channeling large untapped local engineering and design talent into the social and mobile games space, and potentially working together with other talent pools in the region. “We believe that localized social and mobile games have immense potential in the MENA region, and Nezal is one of the strongest companies developing original games targeting Arabic speakers” says Shayan Habib, Partner at Ideavelopers. In his comments, Ali added, “Amongst the investors that approached Nezal, Ideavelopers had the strongest value proposition. Ideavelopers will be able to provide Nezal with the necessary capital and advice needed to capture a significant market share of the regional online and mobile games market.” Nezal’s investment announcement follows the heels of TDF’s investment in Offerna, Egypt’s first group buying website, and Nefsak, the largest Egyptian online retailer. Shayan Habib and Ziad Mokhtar will be joining the board of directors of Nezal.